A few days ago I somehow got a windows process manager virus, It also seems to have done something to my chrome browser. I have been following step by step on this Post which is almost identical to the issue I am having. I have gotten all the way to booting in advanced startup in order to run fixlist.txt on frst64 but I do not have a fix.txt file. I will provide some images of the situation and all the files that might be needed to help fix this. If someone is able to help me with this I would greatly appreciate it. I have identified a bad SmartService infection. The same type you found in the 2017 log. The instructions have been changed. Let me know if you have access to these devices. 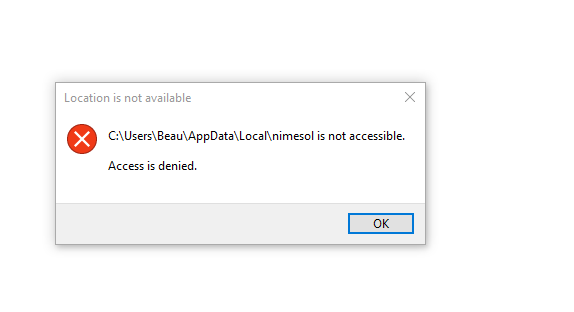 I need to know before suggested the fix if you can enable the Recovery Environment. It will be needed to remove this infection. copy/paste the following inside the text area of FRST. Once done, click on the Fix button. A file called fixlog.txt should appear on your desktop. Attach it in your next reply. Copy and paste its content in your next reply. I do have access to a spare pc and usb flash drive and I am able to boot into the recovery environment. I will paste the content of the log below and have attached the fixlog.txt file. Read all the instructions before proceeding. Take your time and all should be well. Plug in the flash drive, navigate to that drive, right click on it direct and select format. Quick option is adequate. On that same PC download the right version of Farbar program for your system to Desktop or the Flash drive. How to determine whether a computer is running a 32-bit version or 64-bit version of the Windows operating system. Do not plug the Flash Drive into the sick PC until booted to Recovery Environment. "Troubleshoot" > "Advance Options" > "Command Prompt"
A log called FRST.txt will be saved on your USB Flash Drive. Attach it in your next reply. If at any time you need additional information please ask before proceeding. Here is the FRST.txt file that was created. Please boot to normal mode and run this fix. Open Google Chrome, click on menu icon or the 3 vertical dots located right side top of the google chrome. Click "Settings" then "Show advanced settings" at the bottom of the screen. Click "Reset and clean up" > "Restore settings to their original defaults"
If unable to boot to Normal Mode boot to Safe Mode with Networking and run the fix. When the local computer boots after the fix please run Malwarebytes and delete all reported items. Restart the computer when completed. Run the Farbar program and post fresh FRST.TXT and Addition.txt logs for my review. Make sure that the box to create a Addition.txt is marked to create a fresh log. Let me know what problem persists. Looks to be all clean thank you very much, only issue I have is that the chrome icon is gone im not sure why but I have reset chrome and it seems to be working fine besides this. I also have just found I am having an issue clicking any links outside of chrome, they just do not open at all when I click on them. Can you please elaborate what you are doing. Do you have problems with other Browsers? When I click a link in another application on my computer like discord, slack, etc. chrome does not open up the link I click on anymore. I am not sure about the other browsers because I never use them but when I used to open links they would automatically open in chrome and now they do not. The only link I have gotten to automatically open when clicked is gyazo image capture, which is now opening in internet explorer even though it used to open in chrome and chrome is still the default browser. Also the chrome icon is gone, I will attach a picture. and Save to your Desktop. If using Windows 7 or above, Right-Click on fss.exe and select Run As Administrator. If using XP, double-click to start. Answer Yes to ok when prompted. If your firewall then puts out a prompt, again, allow it to run. Copy & Paste contents of FSS.txt into your reply.